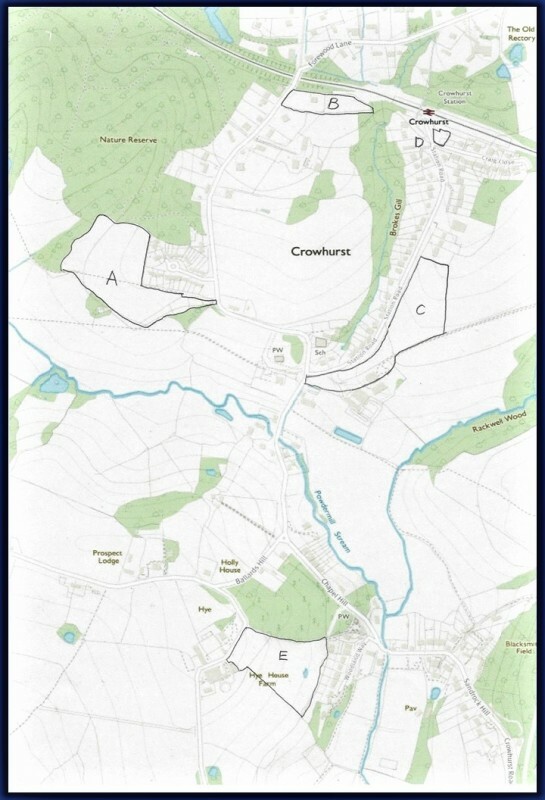 The consultative process for the Crowhurst Neighbourhood Plan began when we held our very first public meeting in the Village Hall in November 2015. 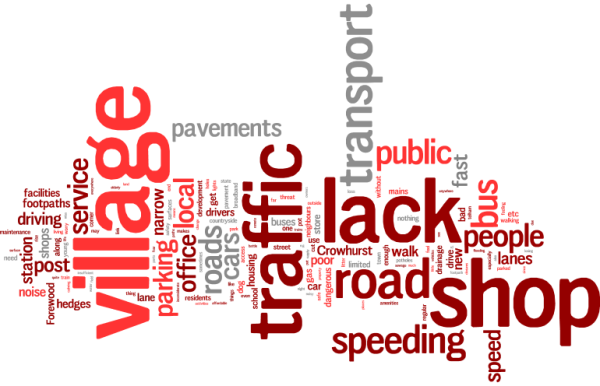 Since then there have been many more meetings, events and activities designed to engage Crowhurst residents in the process of creating the Plan. We have had three village surveys and numerous exhibitions in the Village and the Church Halls where residents gave us their feedback and views and to monitor progress. All of this information fed into the Draft Neighbourhood Plan Document which was submitted for the REG 14 (pre-Submission) Consulation in January 2018. Once amended, the final plan was sumitted for the REG 16 Consulation in January 2019. We are currently awaiting the next stage of the process which is Rother's decison on approval. Below you will find all documents relating to the consultation process for our neighbourhood plan prior to the 2-stage submission process outlined above. For monthly updates on where we are with the plan just check out the Minutes of the Steering Group Meetings . 1. 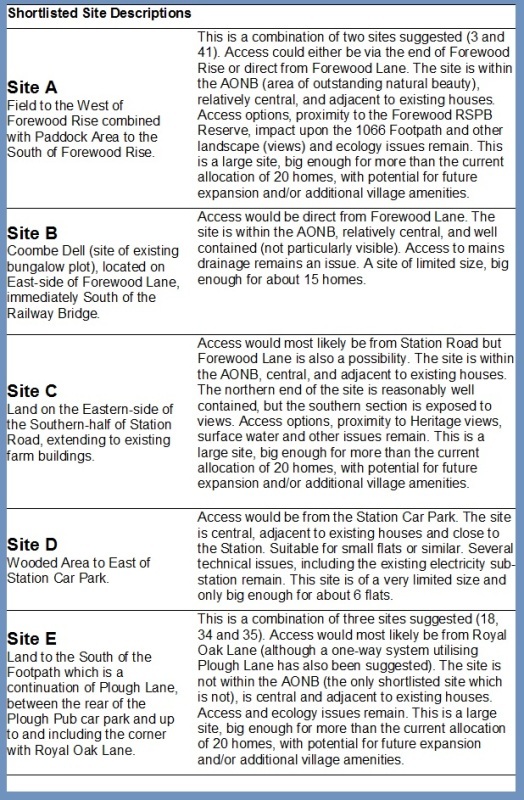 Sites presentation from public meeting held on Friday 13th October (in 2 formats). 6. In November 2016 we asked pupils at Crowhurst Primary School and at Claverham Community College, plus the Scouts, Cubs and Brownies, what they all thought about the neighbourhood plan and the future of their village. Their responses and comments are all available to read in full on the dedicated Young People and Schools page of this website. Please click on the link to see what they had to say. Presented at public meetings on October 13th 2017.
can be accessed directly by clicking on the link above or can be downloaded below. All documents relating to Shortlisted Sites and Housing Needs discussions are below. This includes the full list of originally proposed sites. the shortlist and the subsequent Village Survey Results. COLLATED COMMENTS ON ALL PROPOSED SITES Please note that this is a LARGE (12 page) Word document. To read the concise 2-page summary click HERE. The survey has also generated the two fascinating images below. 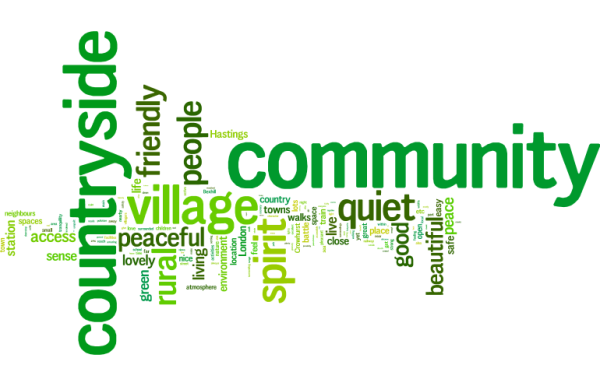 Based on the words used most frequently in your surveys they give a sense of the positives and negatives of Crowhurst Village Life. ​In November 2016 we asked pupils at Crowhurst Primary School and at Claverham Community College, plus the Scouts, Cubs and Brownies, what they all thought about the neighbourhood plan and the future of their village. Their responses and comments are all available to read in full on the dedicated Young People and Schools page of this website . Please click on the link to see what they had to say.